Good wine can be rather pricey and surprisingly difficult to find. If you are looking for an easy way to get premium-quality, hard-to-come-by wines at a good price, wine clubs are a perfect solution. Browse our selection of the top 5 wine clubs and find the one that best fits your taste and budget. 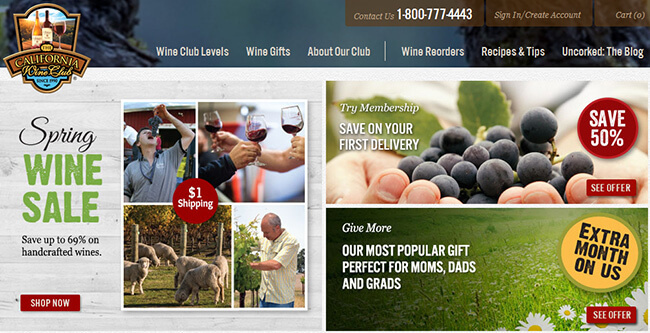 Winc is a wine club that brings high-quality wines at affordable prices right to your doorstep. Enjoy red, white or sparkling wines from all over the world, chosen to meet your specific needs. Get $20 Off Your First Winc Membership Order! Gold Medal Wine Club has been offering only the rarest wines of the highest quality for nearly 25+ years. They have an amazing selection of California and world wines, as well as great gift sets. Wine of the Month Club brings the finest hand-picked wines to your doorstep. A team of experts tastes about 400 wines a month and makes sure you receive only the best vintages. Game of Thrones Wines Now Available at Wine of The Month Club! 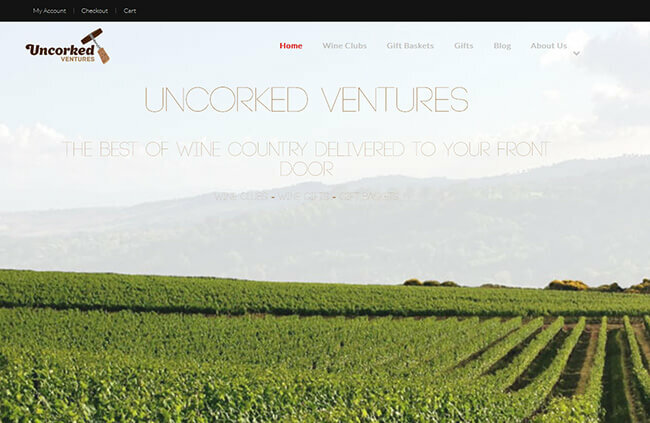 Uncorked Ventures provides their customers with a great selection of wines made in California, Oregon, and Washington. You can now drink the best domestic wines at an affordable price. California Wine Club focuses on bringing you the most exquisite artisan wines from California and all over the world. Browse the offers of its 6 wine clubs and discover your new favorites. Whether you know your wine or just love your wine, joining a wine club can be one of the best decisions you have made in a while. First of all, you can save quite a lot of money and get the highest-quality wines for as little as you would pay for a bottle of mediocre, bulk-produced Chardonnay at your local supermarket. We are not exaggerating – the discounts you get as a member of one of the best wine clubs are huge and reason enough to start your membership today. 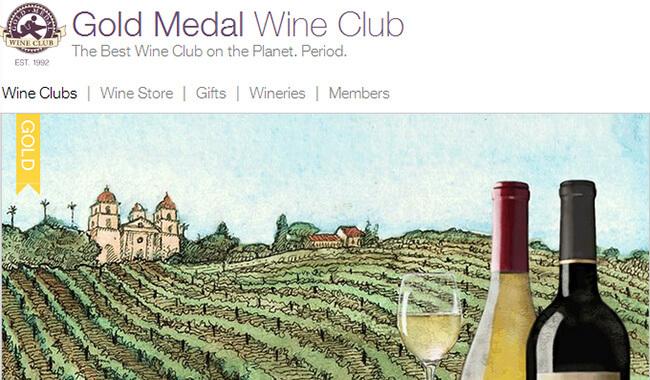 Still, the attractive discounts are hardly the greatest advantage of being a wine club member. What we like the most about our top picks is that they allow you to explore the world of wine with unbelievable ease and enjoy the perks of having wine experts hand-pick the finest wines just for you. Not only that, but you get to taste some of the rarest wines in the whole world. Wines you could never find on your own. Full-bodied wines with exciting, complex flavors that are sure to delight your palate, no matter how vast or limited your knowledge of wine may be. In addition to the ultimate convenience you get to enjoy with regular home deliveries, wine clubs offer the additional benefit of teaching you how to enjoy wine even more. They introduce you to your new favorites, teach you how to perfectly pair your meals with the right wine, and allow you to learn all about the wines you love so you can love them even more. The best wine clubs do not only allow you to easily stock up on good wine. They want every delivery you get to be just perfect for you. They allow you to choose yourself but also help you make the right choice when you are in doubt. They provide excellent recommendations based on your preferences, they value your feedback, and they carefully and skillfully guide you toward the ultimate wine-sipping experience. That is the kind of premium-quality service you can only get from the best wine clubs in the country. While it is important that the wine club of your choice does its best to make sure that you are satisfied with your delivery every single time, we believe that it is of equal importance that you get the best possible service even when you are not happy with what you received. The finest wine clubs offer satisfaction guarantees; if you do not like the wine you got, you can get a refund or replacement, so you never waste any money on wine that you do not love. Finally, the highest-ranked wine clubs that you can find on our list have richer selections of fine wine than any other wine club in the country. They truly have something for every taste. Not only that, but they never settle for anything less than perfection, so you can be sure that every wine you get is among the best available, both in the country and the world. It takes a lot of love, knowledge, and dedication to create a perfect bottle of wine. The best wine clubs are the ones that do not only understand the art of winemaking and appreciate the efforts that go into the creation of the finest wine but also know how to match the best wine with the person who will enjoy it the most. In order to identify these top-level wine clubs, we have devised a list of criteria that a wine club has to meet in order to be featured on our list. First and foremost, we focus on wine quality. We only select the clubs that provide award-winning and rare wines that are not available at the stores. Their selections must be impeccable and vast enough to please any wine lover. Furthermore, we believe that brand reputation is of great importance. The wine clubs that receive our highest recommendation are the ones that are praised by both their members and relevant experts and publications. Simply put, we select the wine clubs that never disappoint and whose stellar reputation speaks in favor of the quality of the wine and service they provide. The best wine clubs allow you to enjoy the best wines but also help you learn more about them and maximize your pleasure by expanding your knowledge. Thus, the wine clubs we choose are the ones that pair their first-class wines with some first-class wine education. Every wine lover has a unique taste, which is why customization is one of our key criteria. Our top list exclusively includes wine clubs that offer memberships that can be tailored to perfectly fit your preferences. Finally, we make sure that our top picks offer the best value for your money. We want the price you pay for your wine to be as low as the quality of the wine is high. What all of our top picks have in common is that they are currently the best on the market. Now it is time to discover what makes each of these wine clubs unique. Explore their distinctive features in the mini-reviews below and choose the one that best satisfies your wine-sipping preferences and needs. Whether you like ruby reds, elegant whites, rosés or sparkling wines, Winc has something just right for you in its cellar. Every delivery you get from this extraordinary wine club is tailored to your unique taste and based on the preferences you state in a short and fun quiz you take once you become a member. Winc’s fine wines mostly originate from California, but you can also try some of the best wines from around the globe. Gold Medal Wine Club has one of the most impressive selections of rare wines we have ever seen. By opting for one of its 6 wine clubs, you get to enjoy the delicate and powerful flavors and textures of the finest Pinot Noirs, top-quality champagnes, unique, hand-crafted wines from independent wineries, and exclusive, award-winning wines from the best wineries in California and the world. Wine Of The Month Club has been delivering exquisite wines all over America for nearly 5 decades. With 5 distinct wine clubs for different tastes, a gorgeous assortment of vintages, and delectable reds and whites from the most famous wine regions in America and around the world, Wine Of The Month Club has done its best to satisfy even the most sophisticated of palates. The prices are low but the quality is sky-high. Uncorked Ventures is a wine club that lets you explore the glorious flavors of the finest West Coast wines. You can choose from 3 different wine clubs, mostly focusing on vintages and rare wines. The deliveries may include reds, whites or both, depending on your preferences. If you have friends who love wine as much as you do, you can treat them to one of the beautiful Uncorked Ventures gift baskets. California Wine Club knows that the best wine is made in small batches with a lot of love and care. That is why it focuses on small, artisanal wineries that truly care about what they do. With 5 wine club levels to choose from, you can enjoy everything from the best international wines to the finest aged Cabernets. Most wines you get from California Wine Club cannot be found anywhere else, except the wineries themselves.